Watch our interview to hear all about the books Harry enjoyed when he was growing up, how he set up his own detective agency, and his favourite Beano memories! The Summer Reading Challenge takes place in libraries across the UK every summer. Taking part is easy: just visit your local library to sign up, then collect rewards for reading over the holidays. If you’re already a Mischief Maker, visit our Chat page and let everyone know you’re getting on. Keep visiting your library to swap your books over and collect your next set of rewards! So when the school run a talent contest, of course he’s going to enter. 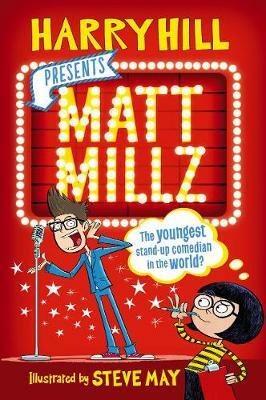 Have you read Matt Millz yet? Write a book review to share your thoughts!